The JHS Space Commander brings you the spacey sounds of vintage chorus and reverb with a powerful clean boost on board. With simple controls and the ability to use each effect separately or engage all three effects with one stomp, you'll find yourself fully in command of your spacial exploration like none other! So let's suit up, grab your space blaster, and prepare for take-off. 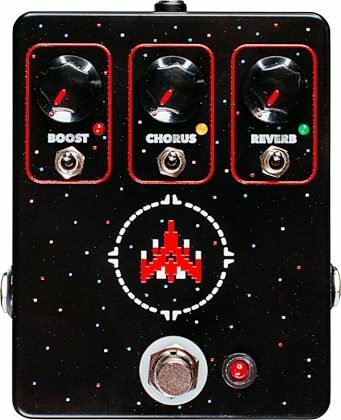 The Space Commander is three-effects-in-one...with a one-knob control for each of the effects: Boost, Chorus, and Reverb. Each effect is independently engaged by a toggle below the knob, and the pedal's master on/off is the footswitch. The "Boost" is a simple but powerful transistor boost that can be used to give your rig more volume or send your amp into natural breakup, perfect for tube amplifiers. The Chorus is a classic swirling 80s style chorus. When increasing the Chorus control the speed increases while the depth decreases, and when decreasing it the speed decreases and the depth increases. The Reverb is a hall reverb that is perfect for adding that 80s style decay to your sound. The Reverb knob controls your reverb mix, from fully dry to fully wet. All these combined will have you screaming "Friday, I'm in love" in no time. 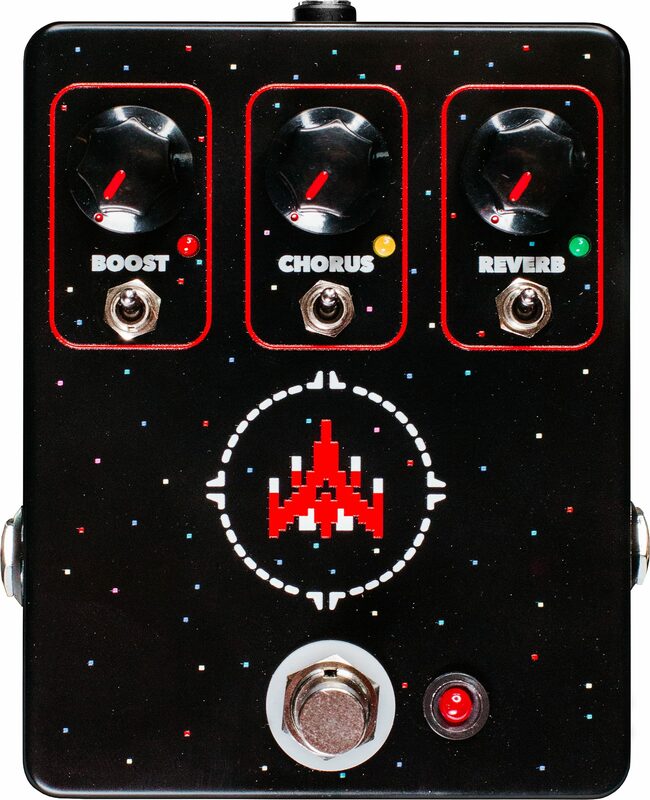 The Space Commander is your time machine to take you back to the wonder years of chorus and reverb! - Individual bypass toggles for each effect. - Simple controls for easy tweaking of your sound. - Master bypass footswitch so you can engage all effects at once.